Appear at the top of lists (above regular listings). 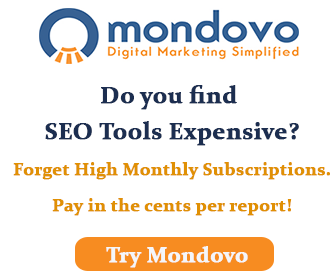 Get 5 deep links on their details page. 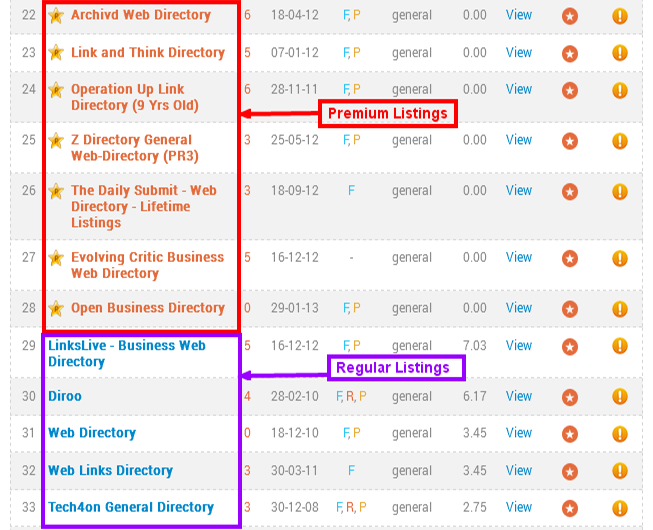 Free listing in our Webmaster Directory (valued at $19.95). DO NOT require a recip link back to us. Are only $149.95 per year. Upgrading from a regular to premium listing is easy. Simply fill out the form below and hit upgrade button. 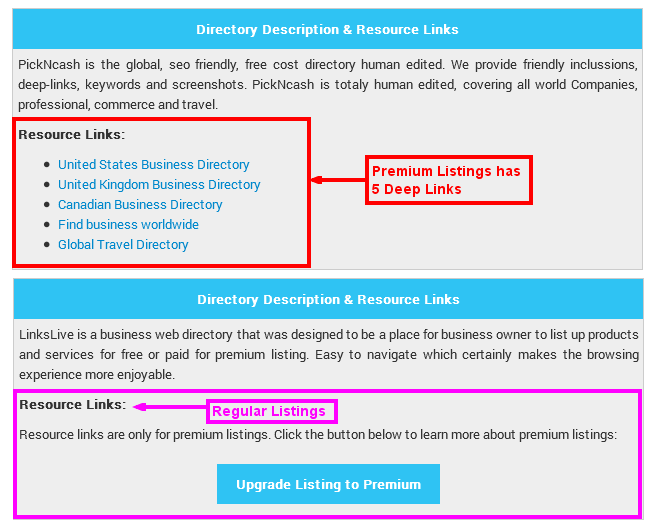 your directory listing will be upgraded to premium within 24 hours.